It is common for people who are exploring religion to ask questions regarding the origins of the world. Since time immemorial people have speculated about this question. Most religions will teach that the world was created by a Creator-God. For many people, this seems to be satisfactory. However, if one seriously thinks about it, this answer is merely a placebo – something that does not have any real value other than to satisfy the incessant queries of a questioner. To say that the world started with a Creator God is no better than to say that the origin of yoghurt is milk, or the origin of a plant is the seed. Simplistic minds do not seem to have a need to see further back beyond that. The reason for this is that our mind is conditioned to see things in a linear manner; that is having a starting point and an end. This article has a start and an end, so is the table before you and so on. However, there are many, many things in this universe that have no beginning and no end. Look at the sky above you. It may seem like a blue or black sheet but it really goes on forever. It is the same with time – it has no beginning and no end. This is how Buddhists understand the origins of the world as taught by the Buddha. It is interesting to note that the Buddha described events like how a universe forms in space. 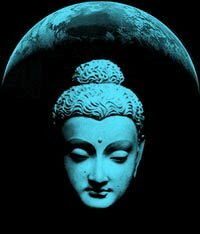 More interestingly, the Buddha’s explanations corresponds very closely to the scientific view. In the Aganna Sutta, the Buddha described the universe being destroyed and then re-evolving into its present form over a period of countless millions of years. The first life formed on the surface of the water and again, over countless millions of years evolved from simple into complex organisms. Eventually, the universe is again destroyed and another arises in its place. All these processes are without beginning or end, and are set in motion by natural causes. Our present universe merely occupies one slot in this beginning-less and endless sequence of time. Such explanations are a quantum leap away from the simplistic genesis stories of theistic religions and are indicative of the great insight and wisdom of the Buddha’s enlightened mind. Even so, questions regarding the origins of the world and such were not considered important by the Buddha and not made out to be a big deal as in other religions. In a famous story, a man called Malunkyaputta approached the Buddha and demanded that the Buddha explain the origin of the universe before he would become a disciple of the Buddha. Then the Buddha said that he would not go into a discussion of the origin of the Universe. To him, gaining knowledge about such matters was a waste of time because a man’s immediate problem was his own suffering and his task was to liberate himself from the present state of affairs. To illustrate this, the Buddha related the parable of a man who was shot by a poisoned arrow. This foolish man refused to have the arrow removed until he was told who shot the arrow, what he looks like, the kind of wood the arrow was made of and so on. The Buddha said that before the man could learn such information, he would be dead. Similarly, our immediate task is to be enlightened, not to speculate about the metaphysical. Thus, the Buddha’s teachings centre around mankind and emphasises the methods by which he can liberate himself. These teachings are encapsulated in the Four Noble Truths.